If you think more strategically than your competitors, your company will win the competitive battle in the mid or long term. 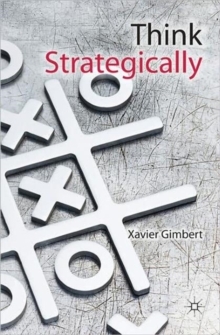 This book explains simply and clearly the elements, concepts, analyses and interrelationships that make up this strategic thinking, and shows how to employ it in your business or organization. Pages: 210 pages, XI, 210 p.